I can’t believe Christmas is just two weeks away! This December has been full of traveling for me, so I feel like I haven’t been home much. In fact, as you’re reading this Monday morning, I’ll be in the sky traveling to Chicago for an overnight trip. A couple weeks ago, I was in Galveston, Texas for a work conference. My coworkers and I went out to dinner at a fancy seafood restaurant that was AMAZING. I always order seafood when I’m out on work dinners– because Nick hates seafood and it’s my only chance, haha! Anyway, we went to this restaraunt that overlooked the ocean and we ordered some delish seafood– appetizers were panko crusted asparagus with creamy crab sauce. I ordered the crab cake stuffed shrimp with macaroni and cheese and parmesan tomatoes. I didn’t really know what the parmesan tomatoes were when I ordered them, I just assumed they were chopped tomatoes sauteed with some type of cheese. Well to my suprise, these cute little tomato rounds with crusty, melty parmesan were sitting on my plate! And oh my, they were so good. 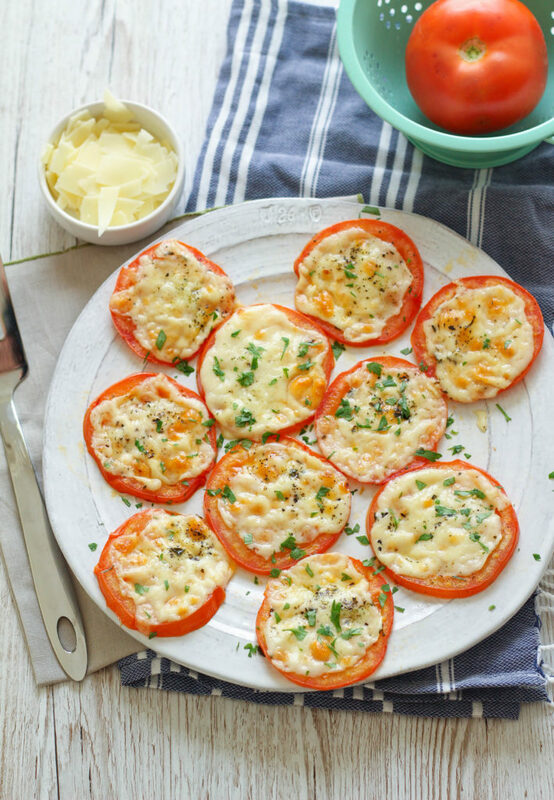 Like little baby pizzas with all the good tomatoes and cheese and none of the crust. The cheese was so thick, you had to cut them with a knife! I knew that I had to remake these when I got home. These are so simple, I really don’t need to give you a recipe. All you need are some big, juicy tomatoes, parmesan cheese, and dried herbs. 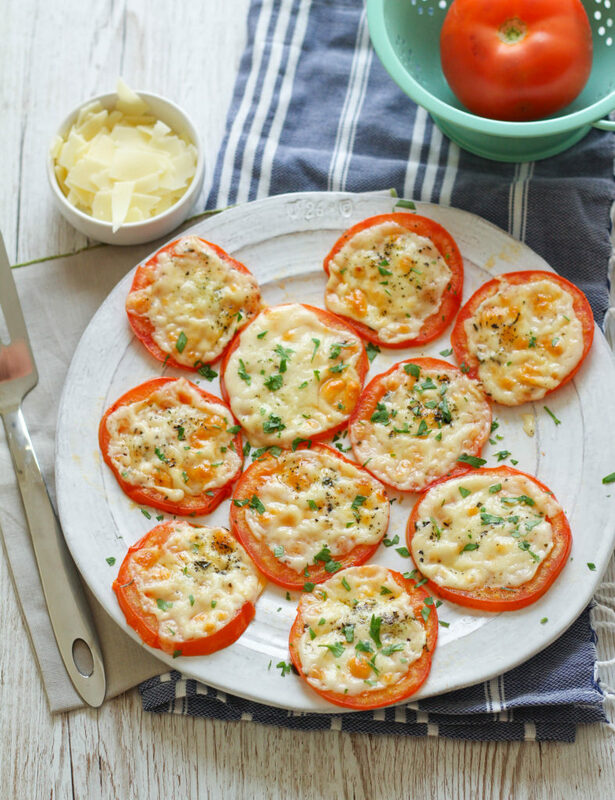 You can add any type of cheese to the tomato slices, but parmesan will taste the best and will give you that nice brown color. Preheat your oven to 400 degrees F. Spray a baking sheet with cooking spray. 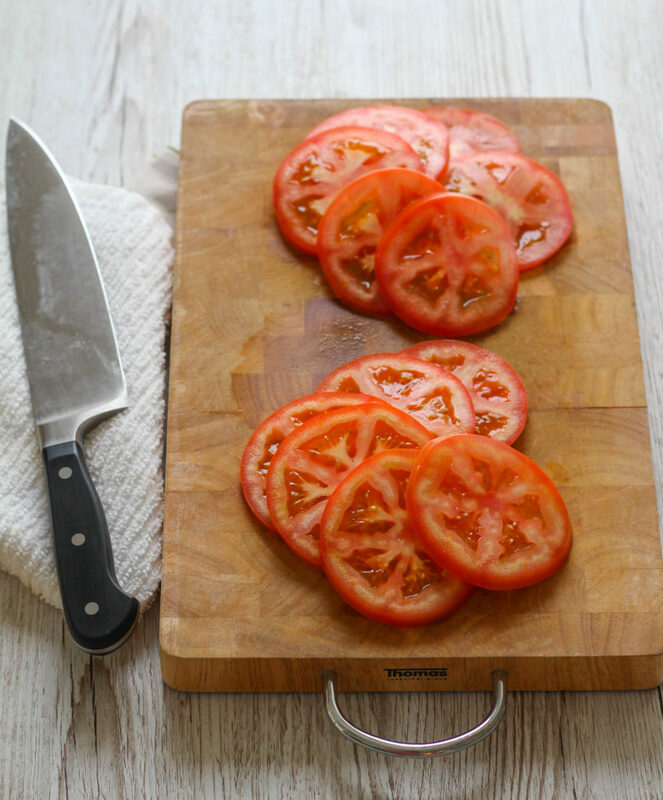 Slice the tomatoes into 1/4" slices and arrange on the baking sheet. Top each slice with enough parmesan to cover the top, as well as a sprinkling of basil and oregano. Top with the fresh chopped Italian parley. 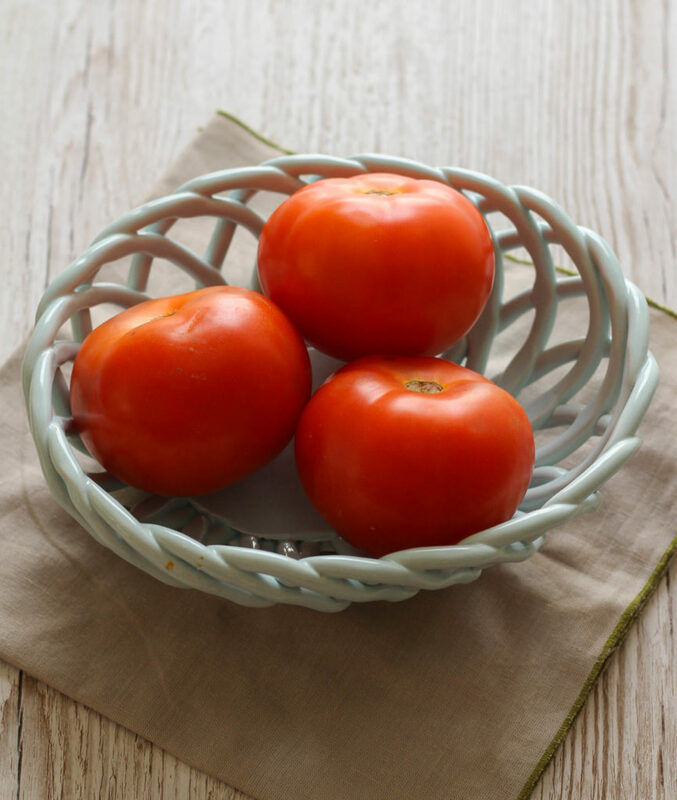 Tastes great with fish, shrimp, or beef dishes as a side dish! 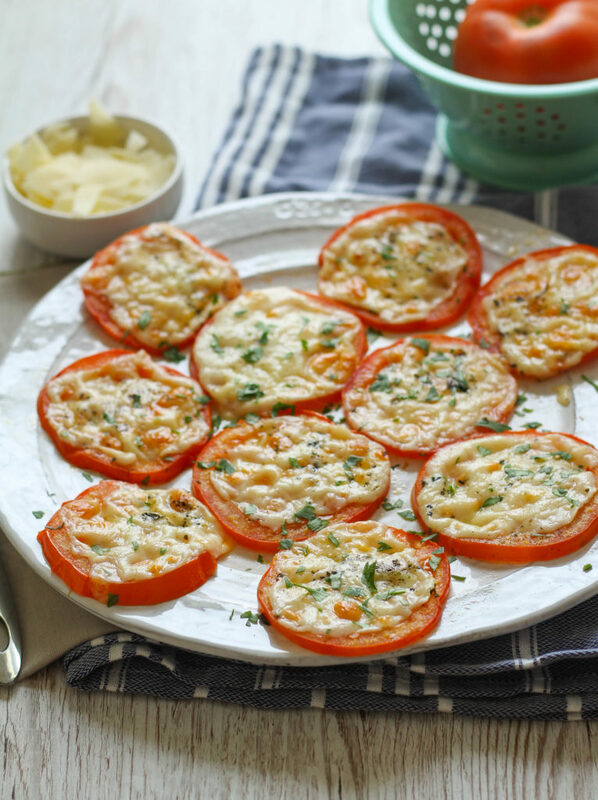 0 Response to "BAKED PARMESAN TOMATOES"